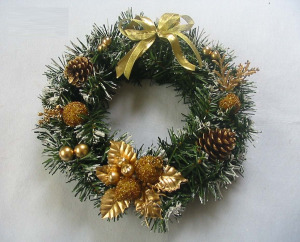 Create your own 30” live wreath to display proudly this season with landscape designer, Tracy McMorran. A wide variety of freshly picked greenery is available. Florist wire, hand-made bows and painted objects, including pinecones, for embellishment are also provided. Bring wire cutters or sharp scissors, and gloves are recommended. Beginners welcome!